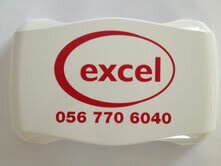 In 2001 Excel Electrical established a new branch of the business “Excel Security”. Excel Security specialise in all aspects of security systems such as industrial, commercial and domestic monitored alarm systems. Excel Security can install either a wire-free or pre-wired intruder alarm system to meet your requirements. Together with our partner Top Security, we provide a very secure alarm monitoring service at a reasonable rate. Check out some Recent Case Studies which we are delighted to be a part of….